A video of another taxi driver cursing his passenger went viral after the passenger, a college student named Mark Buraga, wrote a social media complaint. In Buraga's Facebook post, he stated that he was late for an exam because the taxi driver from Red Angelo taxi with plate number UVU 627 didn’t have change for his Php500. 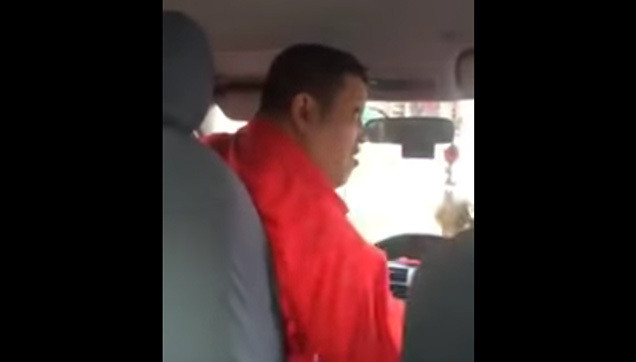 The Taxi Driver talking to his colleague about his complains about his passenger. According to him, the metro was only Php150 but the driver complained that he didn't have any change for Php500 so they had to go out of their way to the nearest gas station. But after taking his fare, the taxi driver left Buraga in the gas station. In the video below, you can hear Buraga and the taxi driver arguing on whose responsibility it was to have the proper change ready. What do you think? Is it the responsibility of the driver to have the change ready? Or should passengers have change on hand if they’re planning to ride taxis?